Joannie Kervran Stangeland . . .
studied poetry with Beth and Nelson Bentley at the University of Washington. 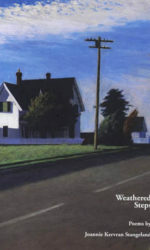 Her first book, A Steady Longing for Flight, won the Floating Bridge Press Chapbook Award in 1995. 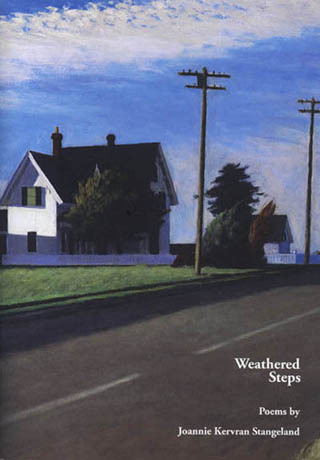 Rose Alley Press in 2002 published her second book, Weathered Steps, and Ravenna Press published her latest two collections, Into the Rumored Spring (2011) and In Both Hands (2014). Joannie's been a Jack Straw Writer, and her poems have appeared in Crab Creek Review; Valparaiso Poetry Review; Journal of the American Medical Association (JAMA); Limbs of the Pine, Peaks of the Range; Many Trails to the Summit; and many other publications. Currently, she is the poetry editor for the online journal The Smoking Poet. Joannie lives with her family in Seattle.